Make sure you call the shots! Understand recommended alcohol limits with this eye-catching display, which provides four clear examples of one standard drink. Features durable, plastic models of a 12-oz beer, a 12-oz cooler, a 1.5-oz shot of spirits, and a 1.9-oz martini. 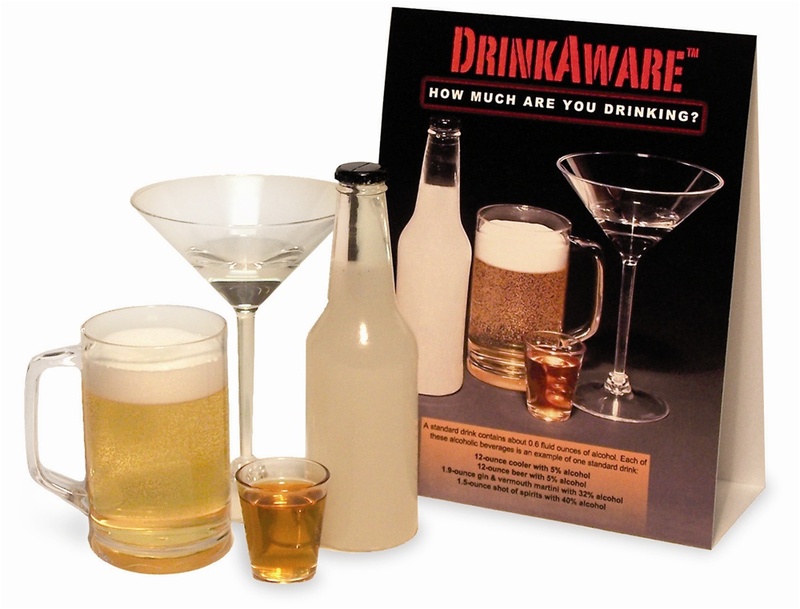 Includes two-sided tent card that defines a standard drink as well as heavy, binge, and moderate drinking. Also comes with carrying case.